The wondrously boisterous St. Patricks’ Day Parade always draws an enthusiastic crowd to downtown Scranton, as many as 100,000 people. 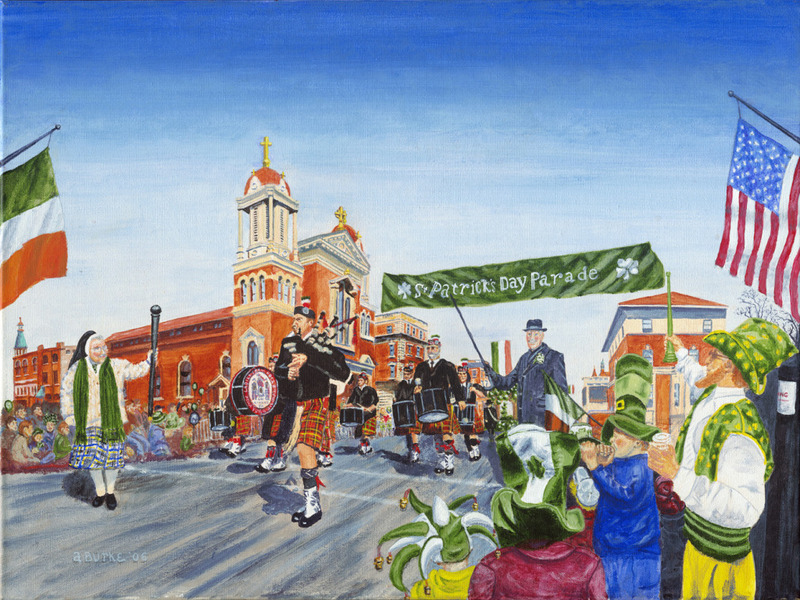 The parade, reportedly the fourth-largest in the United States, honors the Roman Catholic faith our immigrant parents brought with them and celebrates our Irish heritage. Pipes and drums march in front of St. Peter’s Cathedral, the Chancery and other Diocese of Scranton buildings. Featured are our own Bishop Emeritus James Timlin and Sister Adrian Barrett, two stalwarts who marched with the parade annually for decades. A signed giclee reproduction on canvas of the painting is in the collection of the former Taoiseach (Prime Minister of Ireland), Bertie Ahearn. 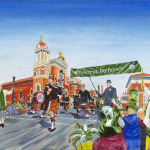 The Friendly Sons of St. Patrick presented it to him on March 17, 2008, the evening Ahern spoke at their annual dinner. 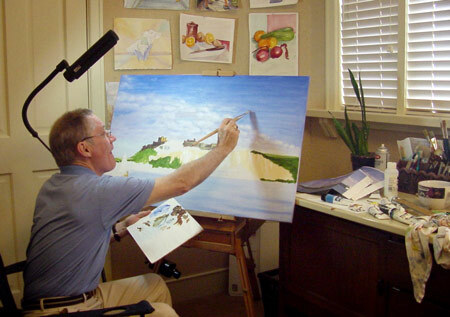 The popular painting has been featured on the covers of regional tourist magazines and nationally in The Office television series calendar, for the month of March, of course.